After the darts contest comes to an end, and when the final credits have rolled, the crew have an opportunity to reflect on what they have achieved. 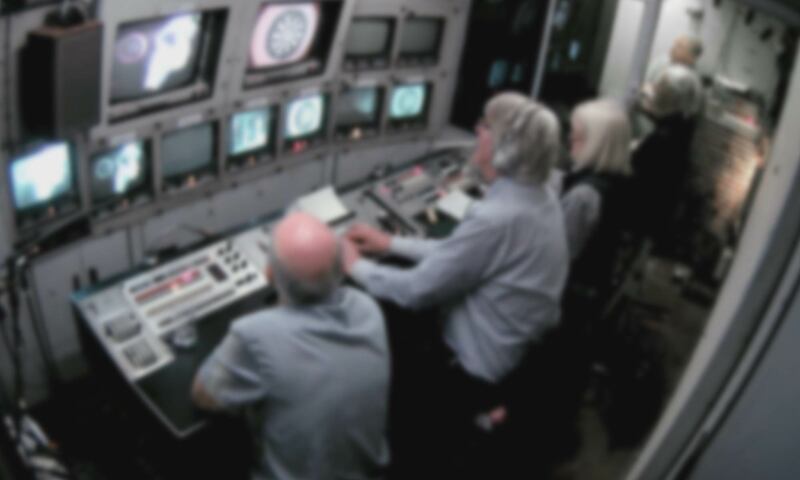 Sound engineer Doug Whittaker added: “I think the memory I’ll take away from this is the fact that we were given a deadline, for effectively what was going to be a live transmission. And as the clock ticked round, and Jane counted us in at the start of that programme, I felt the years roll back. At the end of ADAPT’s outside broadcast re-enactment, the entire crew came together one more time to reflect upon the culture of outside broadcast television production. Click here to open an interactive story featuring highlights of their reminiscences.